One of our favorite times to visit Walt Disney World is during the EPCOT Food and Wine Festival. When traveling during this time, it is a definite plus to be on the Disney Dining Plan. This allows you to use your snack credits to purchase and try the food samples located at pavilions all around the EPCOT World Showcase! This is our list of the top 5 Must Do’s during the Food and Wine Festival. Nestled in the Germany pavilion is Werther’s Baking caramel-mocha iced coffee. 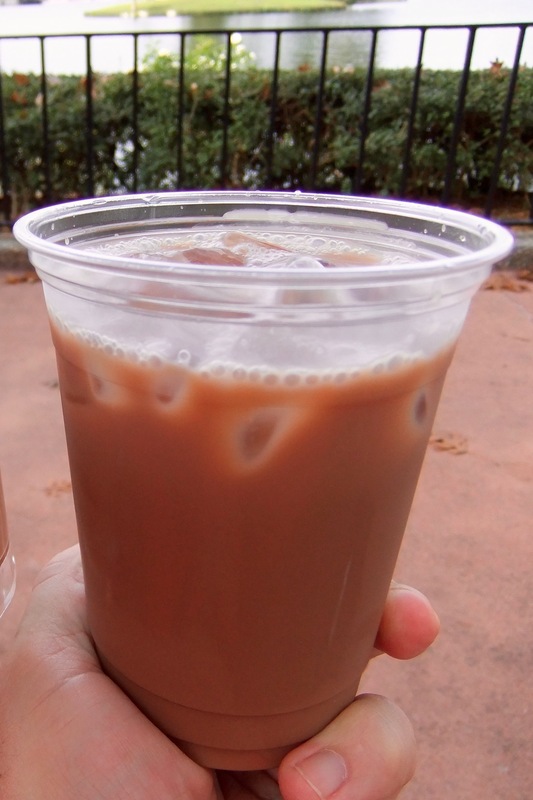 This delicious drink is combined with soft Werther’s baking caramels and chocolate syrup to create the perfect iced drink to start off your day at EPCOT with some energy. Taking a stop at the Poland pavilion has become habitual. Though the line for this dish may always look long, it is surely worth the wait! 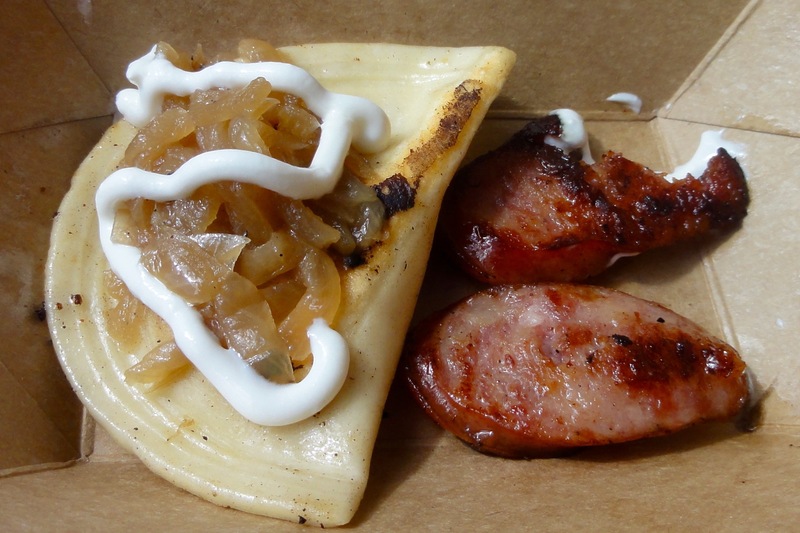 The kielbasa in this sampler is cooked perfectly and is very juicy and mix phenomenally with the cheesy potato pierogies. This dish is topped off with caramelized onions and sour cream. You read that correctly, a bacon cupcake. Found in The Smokehouse-Barbecues and Brews, this delicious cupcake is a very nice treat! 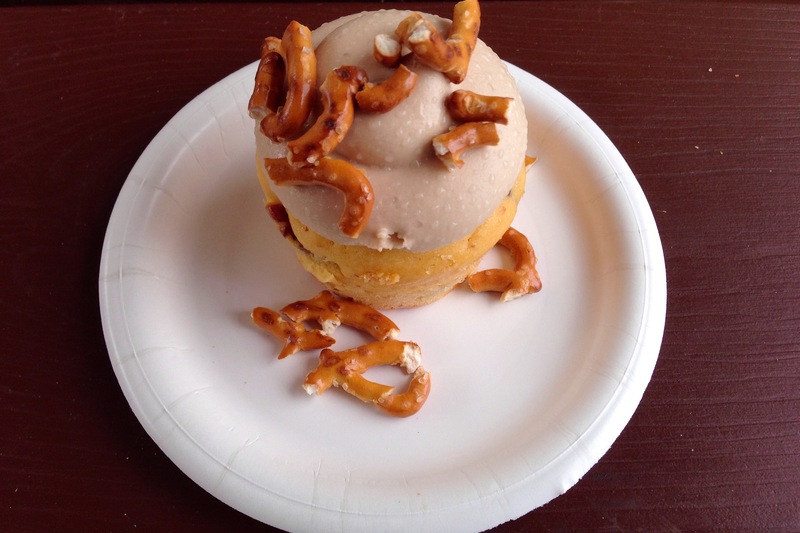 This cupcake has crispy bacon throughout and is topped maple cream cheese icing and crushed pretzels. This is truly a one of a kind experience, so indulge and enjoy! 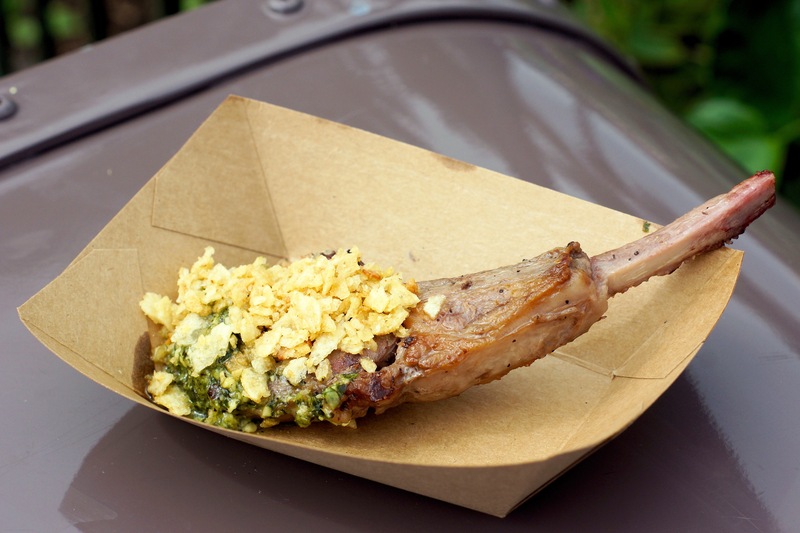 From the Australia pavilion comes a grilled lamb chop with mint pesto and potato crunch. This juicy and precisely cooked lamb chop is well seasoned and pairs so wonderfully with the mint pesto. The potato crunch adds a different texture to the dish while also boosting the overall flavor. This is a really great “snack option” that can surely serve as a meal! 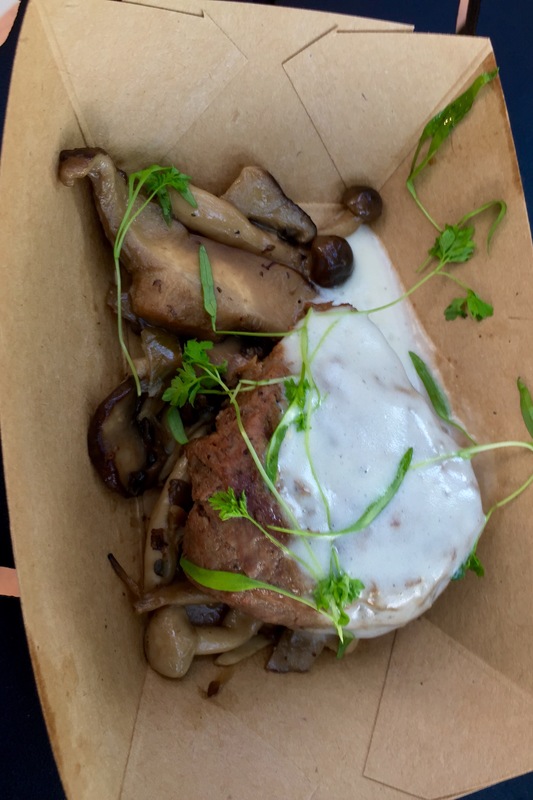 Coming in at #1 of our list is the mushroom beef filet from the Canada pavilion. This flawlessly seasoned and cooked beef filet is topped with the signature Le Cellier toppings, sautéed mushrooms and truffle butter sauce. The creamy sauce adds a new dimension to the beef filet that surely creates a fine dining experience. This was our list of the Top 5 Must Do’s during the Disney Food and Wine Festival at EPCOT. Again, this is a great time to visit Disney World to dine and enjoy unique flavors from all over the world. All of the dishes in our top 5 are offered as Disney Dining Plan Snack credit options. What a great way to have a delicious taste of the food found in the signature dining locations!